Is it possible to make the health display change colour based on how much health you have? ravenThanks, now I would like to know if I can use the stat screen and background from QTCHud in OmpHud? And if its possible what do I need to edit? If something works in one hud it can work in another hud. How easy it is to do depends on how much extra baggage goes into the file you are transplanting. At the very least you will have to add in font definitions and color definitions. i recently downloaded a new hud, (revhud). It comes with a hitmarker i really wanna remove, how? 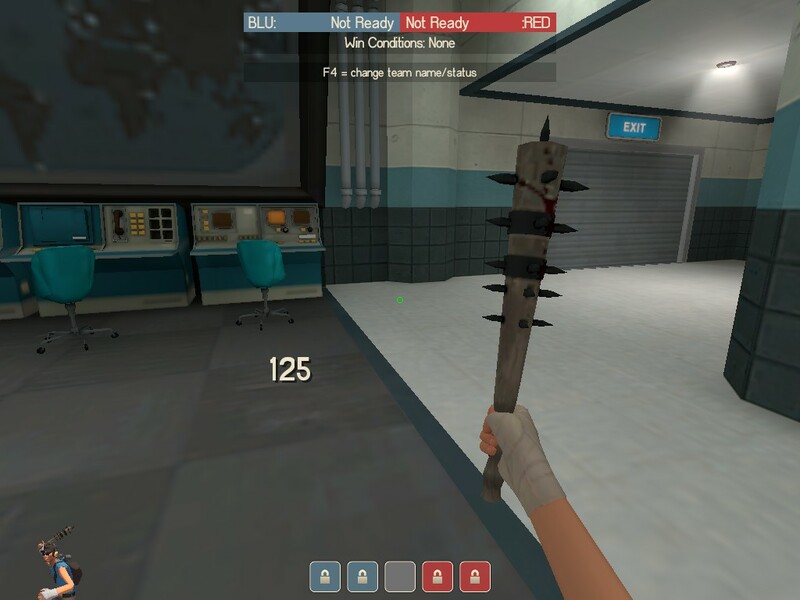 AlexTF2i recently downloaded a new hud, (revhud). It comes with a hitmarker i really wanna remove, how? I'm assuming this "hitmarker" shows up when you hit a shot on someone? If so you'd just have to remove the section for it in hudanimations.tf I believe. Wiethoofd face2face-snip- Change "item_ydelta" in ClassLoadoutPanel in the top section to move them up or down. It moves with the left side item panels. It's also pinned to the center of the screen horizontally. You can't move it separately. STOGE AlexTF2i recently downloaded a new hud, (revhud). It comes with a hitmarker i really wanna remove, how? AlexTF2 STOGE AlexTF2i recently downloaded a new hud, (revhud). It comes with a hitmarker i really wanna remove, how? umm, did you delete the whole file? I would love it if, upon death, a text box came up saying how high my killstreak was. Is this possible? Seems dumb that by now it isn't an option in TF2 as I think a lot of people would like it. 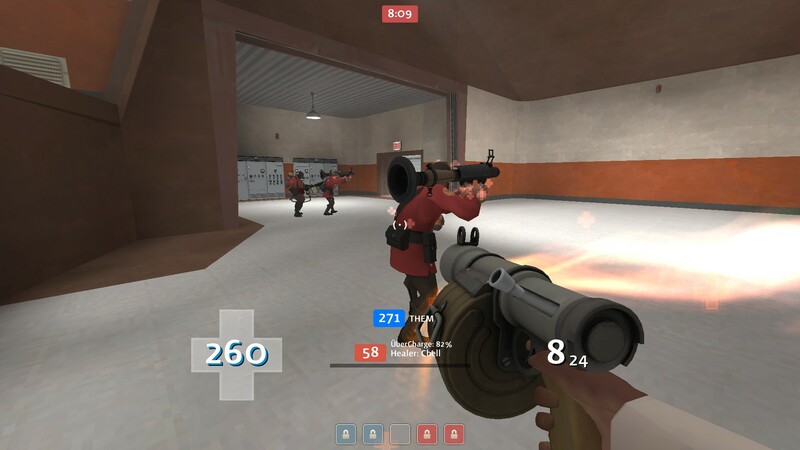 hoXyy AlexTF2 STOGE AlexTF2i recently downloaded a new hud, (revhud). It comes with a hitmarker i really wanna remove, how? No, only the hitscan part. How to make the names in the scoreboard not be cut off like they are now? This might have been asked before but I'm trying to make a killnotices hud like lawena but I want to use the killnotices of the custom hud. Which folder is that file located in? 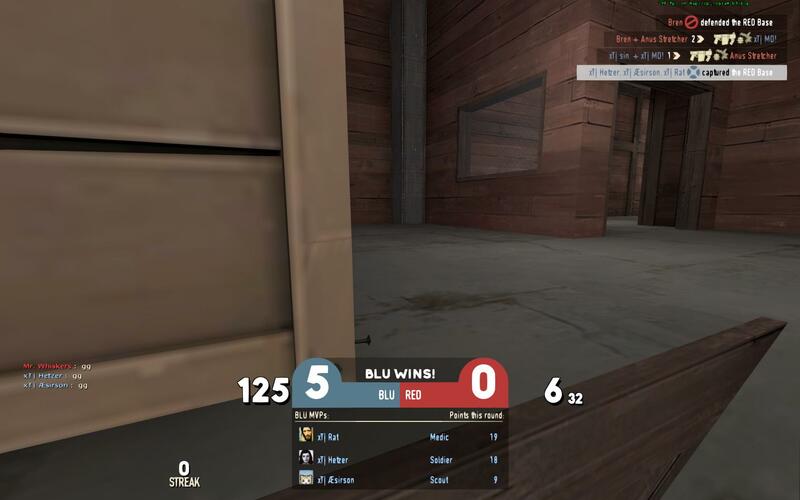 RainmanThis might have been asked before but I'm trying to make a killnotices hud like lawena but I want to use the killnotices of the custom hud. Which folder is that file located in? Thanks, I got it to work. What about the dialog box that says "The Enemy Intelligence has been dropped"? How can I disable it? I tested around in hudobjectiveflagpanel but I couldn't fix it. My sniper focus meter is under my crosshair instead of to the side and I know its an issue with my hud because it only started when I got it, but sadly I love this hud too much to change. Any way I can get get it back to the right of my crosshair? the first is on a budhud element i like which is the custom background picture on the main menu (which is common on many huds). i use this one https://gyazo.com/6598cf1d2dc7f8249e1d27cd22c08501 and i was wondering is it as simple as putting these files https://gyazo.com/1f9c8219d560165705200589108c1df2 inside a console file in the materials folder on m0rehud black (my current hud) like it is on budhud or do i have to do some other things? my second question how can i make any picture i want ie raindrops or whatever into a hud background picture? thanks for the help but the thing is m0rehud black doesnt have the files there so instead of replacing them with other ones i am more or less adding them. is there another file they can be in other than the one i stated or what? domthewhiteguythanks for the help but the thing is m0rehud black doesnt have the files there so instead of replacing them with other ones i am more or less adding them. is there another file they can be in other than the one i stated or what? The only issue is, if m0rehud wasn't made with custom backgrounds in mind, then you'll only see your custom bg part of the time. To fix this you need to DL this file from here (just right click and save-as) and place it in your script folder. That will make the game use the custom background_upward.vtf you put in the materials/console/ folder every time it loads. The only issue is, if m0rehud wasn't made with custom backgrounds in mind, then you'll only see your custom bg part of the time. To fix this you need to DL this file from [url=https://raw.githubusercontent.com/TheStaticVoid/boredHUD/master/scripts/chapterbackgrounds.txt]here[/url] (just right click and save-as) and place it in your script folder. That will make the game use the custom background_upward.vtf you put in the materials/console/ folder every time it loads. sorry if this has been answered, but how do you fix a hud for the new contract stuff? Updating any new pieces in hudanimations hasnt seemed to work, is it something else? I'd really like to decrease the size of the buff cross on m0rehud black. How would I go about doing this? I'd really like to decrease the size of the [url=http://i.imgur.com/HlevlY2.jpg]buff cross[/url] on m0rehud black. How would I go about doing this? ProSkeezI'd really like to decrease the size of the buff cross on m0rehud black. How would I go about doing this? i second this id love for it to be there but smaller. edit: the budhud background works on m0rehud now. thank you. Does anybody know which HUD this is? Or the fonts used? PSA: You can use vgui_drawtree, tick 'highlight selected' & pause demos to figure out exactly which element you need to target if you browse the tree of hud elements! [b]PSA:[/b] You can use [i]vgui_drawtree[/i], tick 'highlight selected' & pause demos to figure out exactly which element you need to target if you browse the tree of hud elements! [quote=Silent-Dan]On some HUDs, for example rayshud, the fonts are sometimes cut off, for example the 2 in the health. Is there a fix for this?